This is just great, selling a mangled fork for 50 cents. 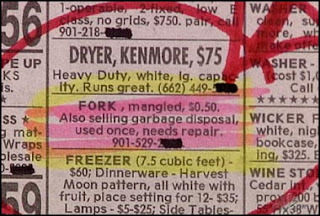 Ahh, but also selling a garbage disposal unit, used once but needs repair. Am i right in guessing that the mangled fork had something to do with the damage to the garbage disposal?